The Evolution of Play in a Virtual World - Ariella Lehrer, Ph.D. I am speaking about “The Evolution of Play in a Virtual World” on Tuesday, at Kidscreen. 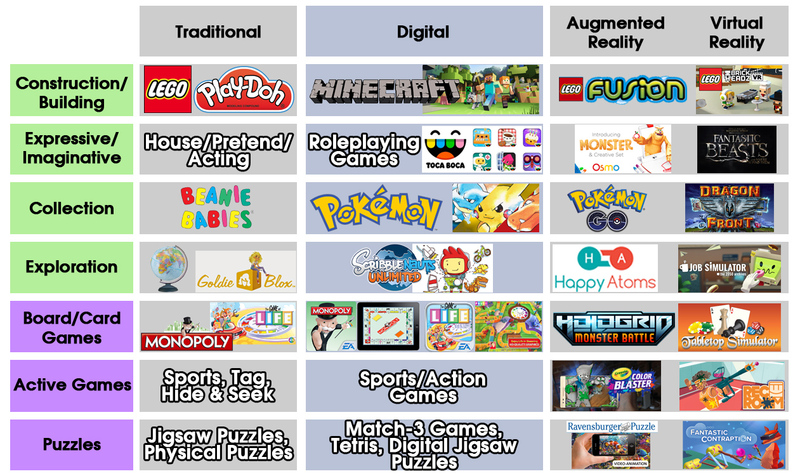 I will be comparing play patterns using traditional toys and games, mobile games and AR/VR games. My basic premise is that AR/VR has some important advantages over previous generations of digital games and also includes some of the unique features that make traditional games so compelling. You can physically interact with realistic 3D characters, chasing them, etc. In Augmented Reality, the real world environment becomes part of the game. The types of interfaces available for interacting with the game tend to be direct and impactful, including touch, voice, and your whole body. It promotes a sense of presence as you move beyond 2D screens to 3D virtual worlds. Social interaction and sharing become possible in a realistic 3D space. Physical movement is an essential part of the game…no more couch potatoes! Of course, so much has to do with how well a toy or game is designed, regardless of whether it is digital or physical in nature. Developmental psychologists value open-ended children’s products, so that the way they are used is limited only by the child’s imagination. 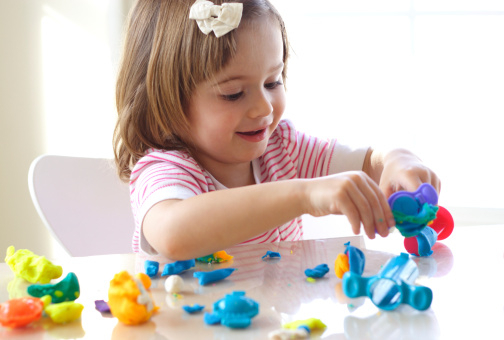 They value toys and games that engage a child’s interest and curiosity, without distracting them with an over abundance of bells and whistles. And they value products that have repeat playability, with sufficient variability and complexity to explore over time. My mantra as a parent was always the word “balance.” I wanted our four children to experience content on every available platform, because I felt that learning how to “decode” the medium was an important life skill. It made no sense to me to take away TV or computer time; I simply limited it to 60 minutes a day. The key was finding content that enriched their minds, engaged their hearts, and promoted the values that were important to me. Those kinds of kids’ toys and games you can find in every format, including new technologies. This entry was posted in Ariella's Blog Posts on February 10, 2017 by Ario.